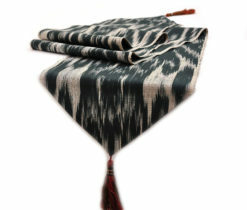 There are lots of decorative items for filling your home with comfort, warmth and peculiar oriental style. All of them are so individual and have their own place and role in the house, so that replace them with something else seems impossible. 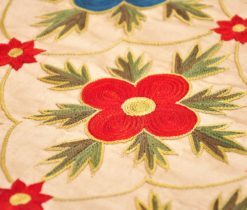 Let’s talk about such an elegant detail for decorating table, such as table runners. This is a peculiar narrow ornamental path that stretches across the entire surface of the table, hanging from the ends. 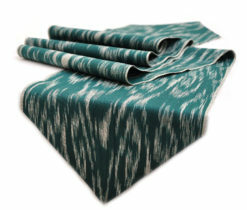 Home decoration items include table runners as a suitable décor for tables of various shapes and according to the style of home or event, runners can be used instead of tablecloth. 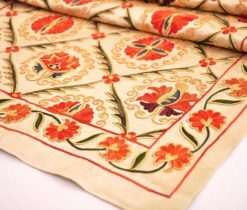 For making table runners various types of materials are used, such as natural flowers, mirrors, wood and even fur. 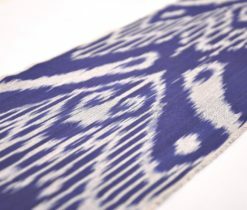 But the most famous and wonderful material for creating table runners in the East is traditional ikat. 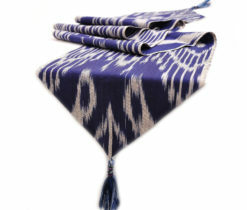 Ikat table runners can be used not only for decorating strict and solemn ceremonies such as exhibitions, meetings or weddings, but also for decorating simple homes. All depends on your imagination and fantasy. 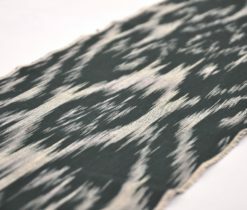 Stunning design will be obtained if Cotton Ikat table runners, Ikat print table runners are used while decorating the table. 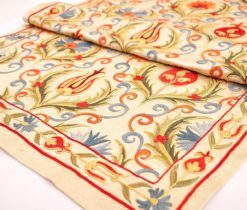 These magic hand-made table runners are so elegant and long-lasting, they will surely add stylish and fresh touch to your interior. 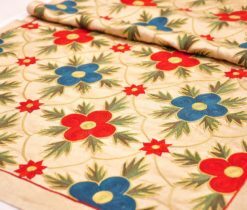 Silk fabric is an excellent and multifunctional fabric, so that it can be used almost in all decorative items, and table runner is not an exception. 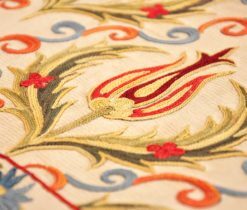 Silk table runners give an incredible beauty and style to your table, whether it’s your dining table, coffee table, piano or bureau. 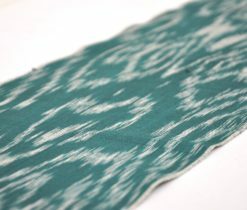 These attractive runners are well washed and can be reused during a year. 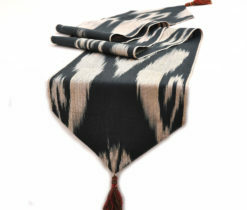 While if you want to decorate your house with home accessories, ikat and silk table runners are a great asset for your house. 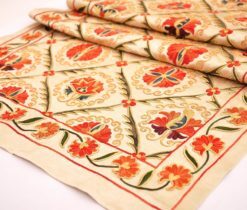 We have the bestselling collection of table runners, Suzani Eastern embroidery and Turkish design embroidery tablecloths, so you can always turn up to us when planning to decorate your tables.